Now available in a new updated and expanded digital edition for the iPad , iPhone (running iOS 8.4 or later) and Mac (running OS X Mavericks or later). is now available in a digital edition. 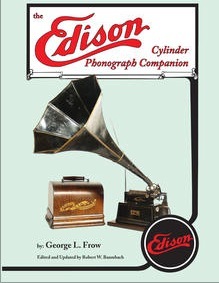 The new edition has a very large number of large color photographs of Edison Phonographs. The text has been edited to incorporate certain corrections and to expand on the information in the print edition. The digital edition runs 648 pages and the new format makes it much easier to read. Information is easy to find thanks to the thumbnail index that can be activated. The new pictures are large and clear and most can be enlarged further by "pinching" the screen. Details are easy to see, and overall the book is a pleasure to read. 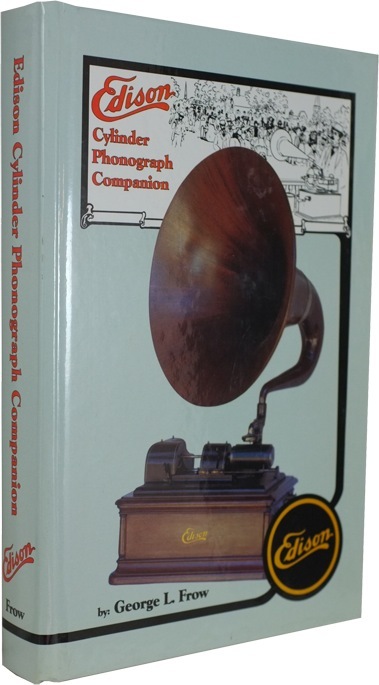 This book will be continuously updated as new information or illustrations become available. Purchasers will always be able to download future versions at no charge. There are a few remaining copies of the most recent print edition with slight damage, mostly due to storage. These books are priced below what the used book market is charging. All books are returnable if you are not satisfied. Damage consists of scuffing of the cover, dirt on the edges of pages or pages that are slightly folded at the edges. Some books contain more than one of these defects. I will always send the best book in inventory when you order. Inside, the books are new and perfectly usable. If you are interested in learning in detail about what is available, please send me an email using the contact page. Clicking the "Add To Cart" button below will purchase the best remaining copy of the print edition for $250. If you want the digital edition, please visit iTunes.